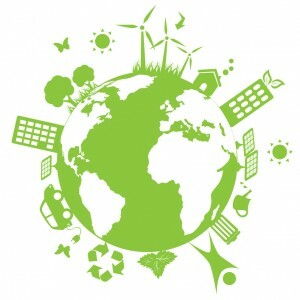 Nowadays, we can no longer afford to ignore the environmental impact of our day-to-day activities. In fact, our very existence affects the earth in a number of significant ways. By our actions, we extract a heavy toll on the environment that could potentially affect life on the planet for many generations to come. This is why there is such a pressing need for greener, sustainable, and more environmentally-friendly practices across all areas of business and industry, and even in the home. This site focuses on the empowerment of communities, enabling concerned consumers to implement sustainable choices in the home, workplace, and in the community itself. With the goal of reducing the negative impacts of modern living on the environment, this site also emphasizes the direct economic benefits that green and sustainable practices will have for home and business owners. As you will find out from the valuable information on this site, “eco-friendly” is not only ‘friendly’ to the environment, but for the finances as well. Education and information sharing are essential aspects of implementing a more sustainable way of life. By providing community members with the opportunity to see the impact of their practices on the environment, presenting suitable measures for reducing that impact, and measuring the results of green practices, this site aims to help communities develop an effective program for more sustainable policies from the ground up. Regardless of what progress has been made and what policies are currently in place, the information provided here will help you foster a greener and more environmentally responsible community for you and your children. Apart from information on environmentally-friendly practices, we also provide tips, tools, and advice for monitoring and assessing environmental impact of common practices. These resources provide the opportunity to approach the sustainability demands of a community in an effective, efficient, and measurable manner.